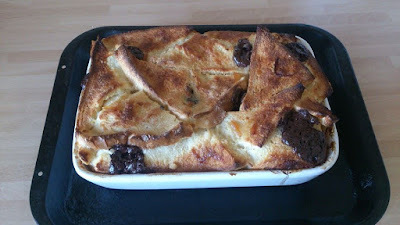 Quick and Easy Chocolate Orange bread and butter pudding! I am always on the look out for quick and easy dessert recipes and this chocolate orange bread and butter pudding is a great way to use up bread they may be going a little stale! 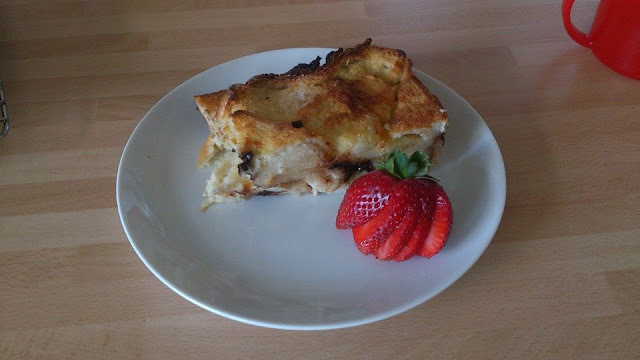 It uses up simple ingredients that are usually found in the cupboard and if you don't have the chocolate or marmalade you can substitute it for a different flavour such as jam or chocolate chips! Pre-heat your oven to 180C and then start by buttering your slices of bread with a good layer of unsalted butter, make sure you get right to the edges! 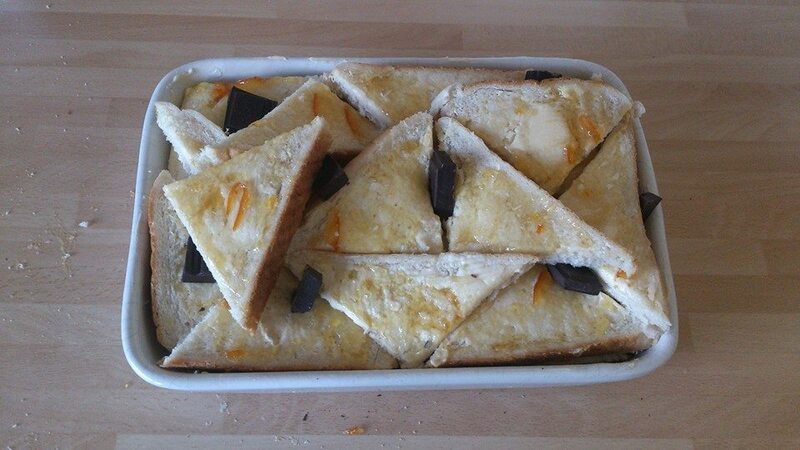 If you are using marmalade then also cover your bread in a layer of marmalade at this stage too. 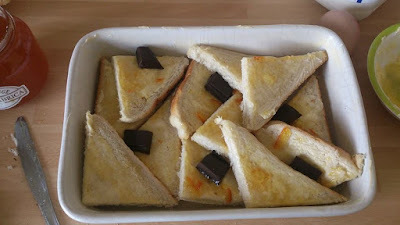 Cut your prepared bread into triangles and layer into your greased baking tin. If you are adding chocolate now is the time to add chunks of your chocolate within the bread triangles. Now add another layer of your bread triangles and more chocolate. 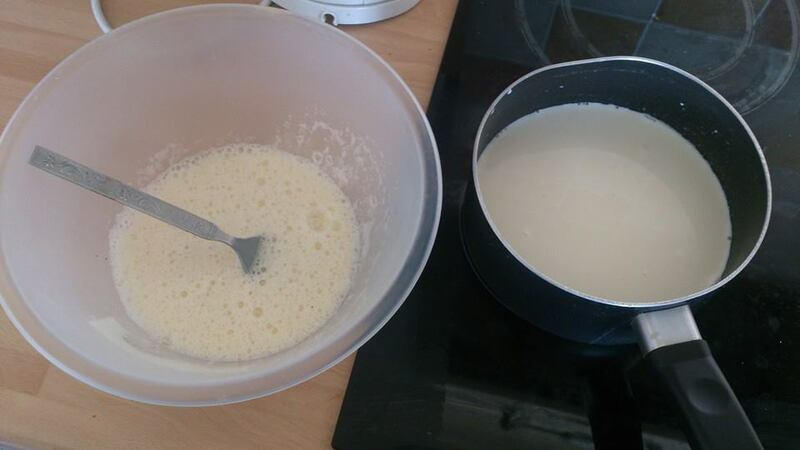 Next beat together your eggs and sugar until they become pale and slightly fluffy. 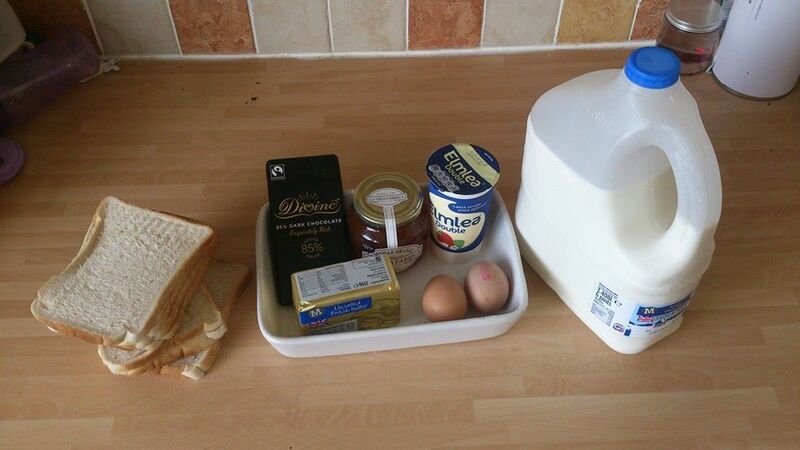 Whilst doing this gently heat together the milk and cream but DO NOT let it boil. Once heated through remove from the heat and slowly add the milk and cream mixture to your egg and sugar mixture, ensuring that you mix the mixture as you do this. 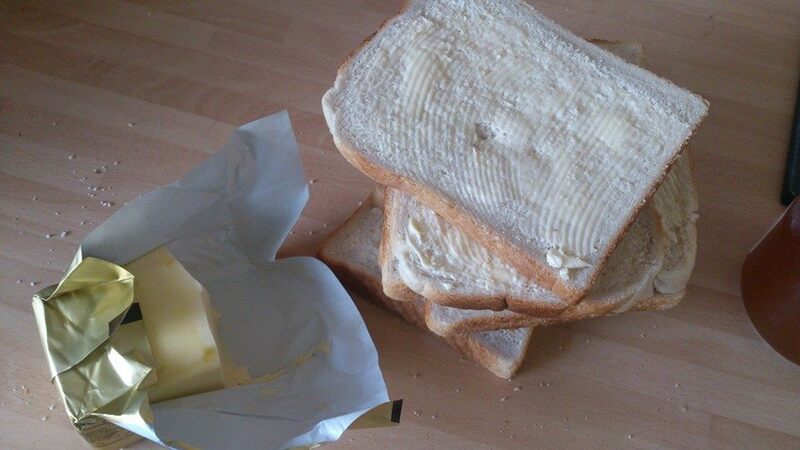 Pour you egg and milk mixture over your prepared bread and push down on it slightly to ensure all of the bread is covered and soaking in the mixture, allow this to soak for around 20 minutes. Sprinkle the top with some sugar then pop it in a pre-heated oven for around 35-40 minutes until golden brown like above. 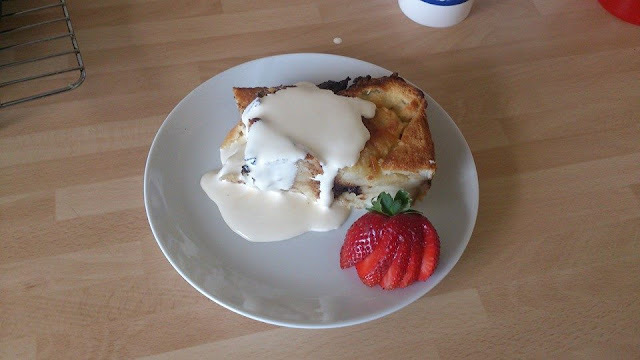 My husband doesn't like bread and butter pudding so I don't make it but I'm sure the kids would so I may give this a go when he's working away!